Extra Peace of Mind for the Years to Come, Please contact Hugo Meixueiro or Sirenio Victoria for further assistance. As the proud owner of your vehicle, you try to ensure that it stays clean, that regular maintenance is performed, to avoid any condition that could damage your precious investment. Unfortunately, life is so that there’s always a risk that your new or used vehicle will experience a mechanical breakdown. When it does happen, the expense of the breakdown may surprise you. 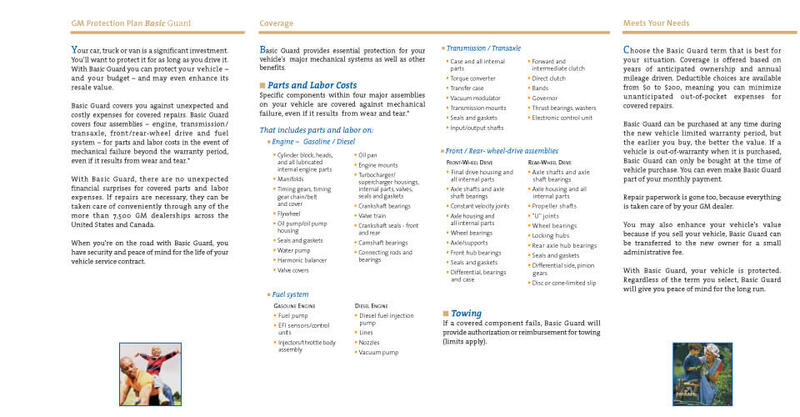 Vehicle repair costs increase every year and can add up fast. 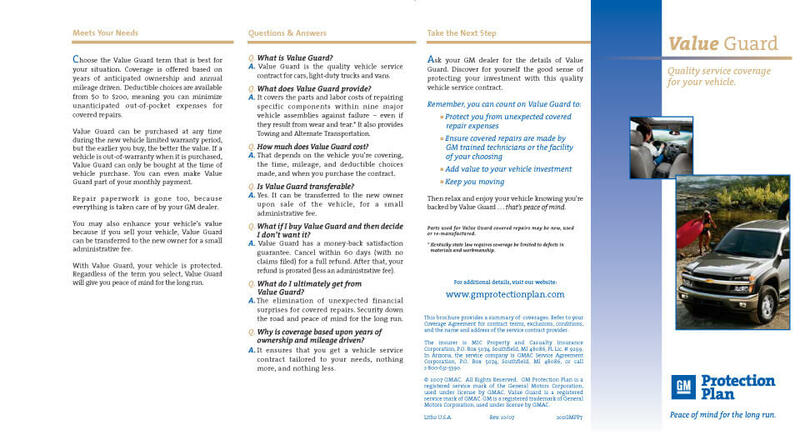 With a nationally accepted GM Protection Plan you pay only a small deductible, if any, per covered repair visit. 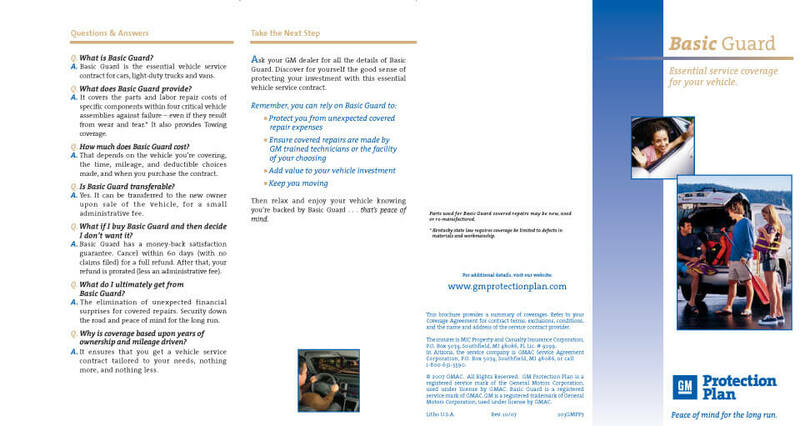 The cost of a GM Protection Plan can also be financed interest free for 12 to 18 months, giving you an affordable opportunity for peace of mind on the road. So, even if your vehicle breaks down, it won’t break your budget. What type of plans and coverages are available? 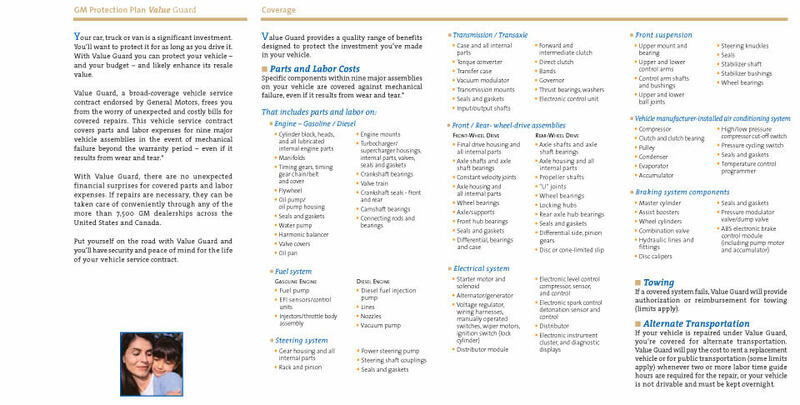 GM Protection Plan offers different levels of vehicle service and maintenance contracts.